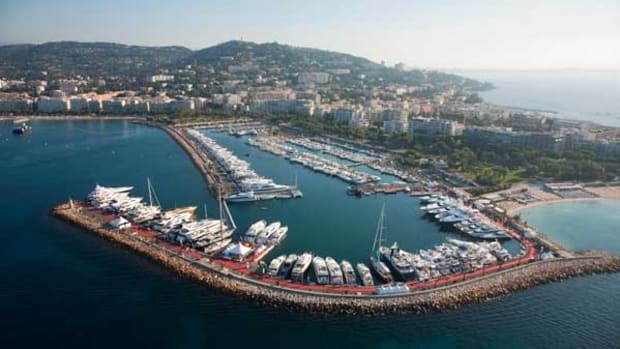 To mark its 35th anniversary, the Cannes International Boat and Yacht Show unveiled a new image, but remaining true to its roots, this well-attended exhibition still is the launch pad for many of the models from European production boatbuilders. 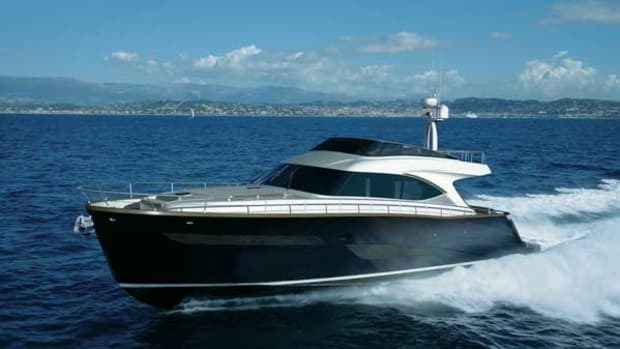 This newest addition to the Azimut’s S Collection represents a stunning shift in styling by Stefano Righini. Full of innovative features, the new 55S makes good use of the space-saving possibilities afforded by a triple Volvo IPS package, including a garage for a 9-foot 4-inch (2.85-meter) tender and an expandable beach club. Hull No. 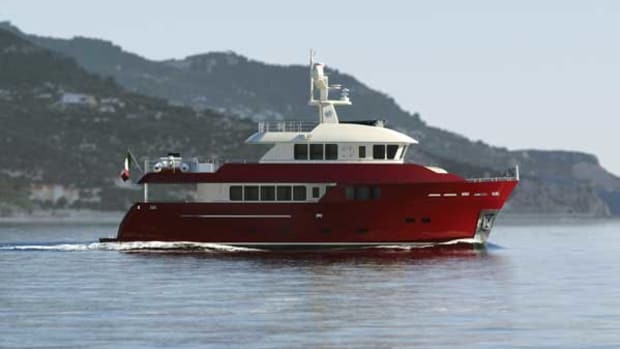 One of Cranchi’s new 54-foot (16.59-meter) hardtop line is designed for seaworthiness, maneuverability and silence. 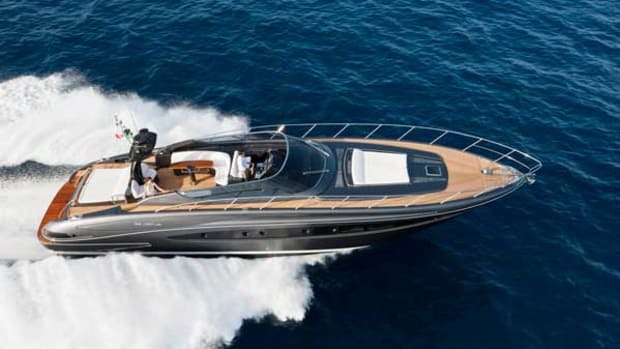 The hull is built in Kevlar, carbon and fiberglass with a superstructure of sandwich PVC, fiberglass and carbon to limit the weight and provide the necessary strength. 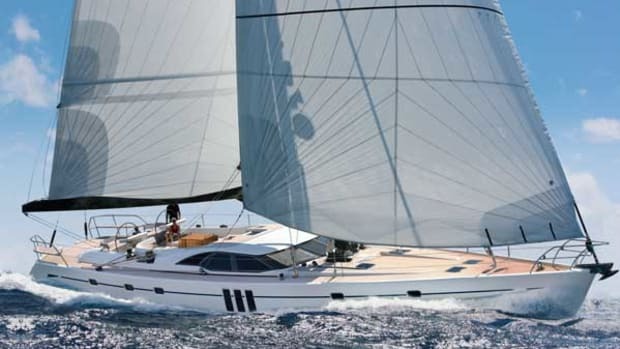 Art of Kinetik adds this 37-foot day cruiser to a range that blends a daring mix of technology and cutting-edge design with the most traditional material–wood. 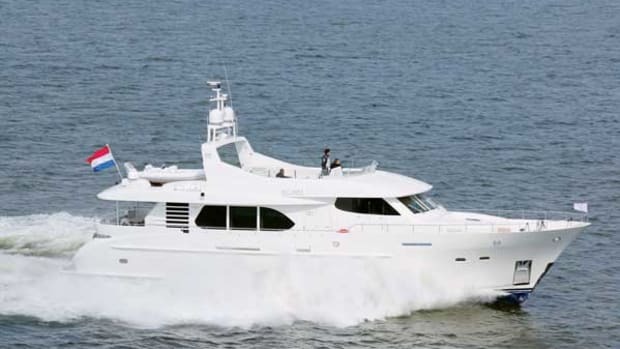 Built in cold-molded mahogany, the 37 boasts a reverse bow shape and a deep-V hull providing a smooth ride in all sea conditions. The sleek, low profile of the Oyster 725 sailing yacht is sure to attract admiring glances, but the interior is equally interesting. Its living area is cozy yet spacious, making the most of the available interior volume. The main deck is open and clutter-free, allowing for easy walkaround access as well as unimpeded 360-degree views. The newborn in the Moonen family is the 82 Alu My Way, an all-aluminum yacht in the recently introduced semi-custom series. 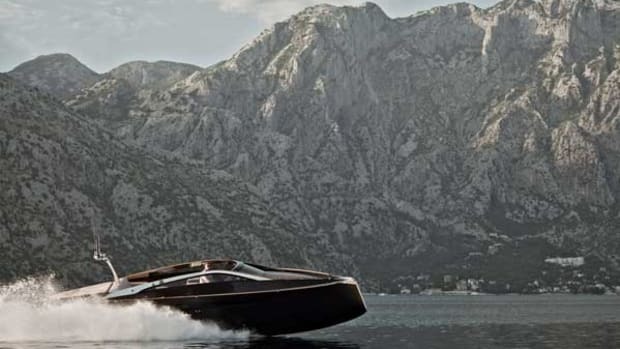 The yacht boasts all the best characteristics of a displacement and a fast hull and when equipped with twin MAN V12s, she has a top speed of 25 knots and a remarkable range of 2,000 nm. 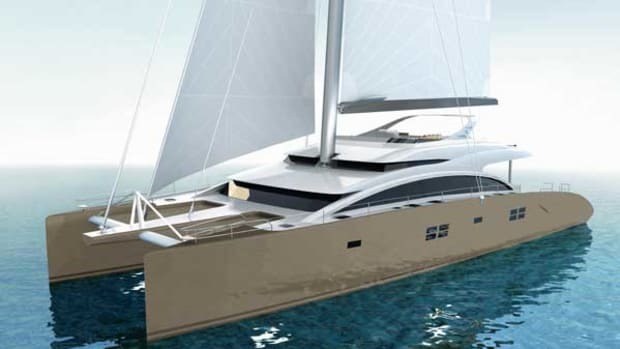 Kanga is the first hull of the new semi-custom composite WallyAce 26m series. 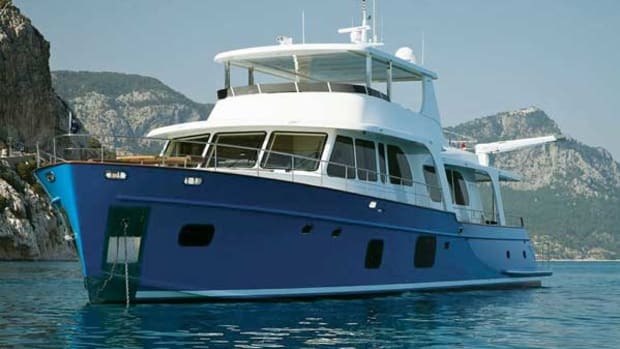 A glass-walled superstructure surrounds the main deck, which includes comfortable lounging and dining areas, while the lower deck holds four guest staterooms plus an owner’s suite with direct access to Wally’s patented terrace on the sea. 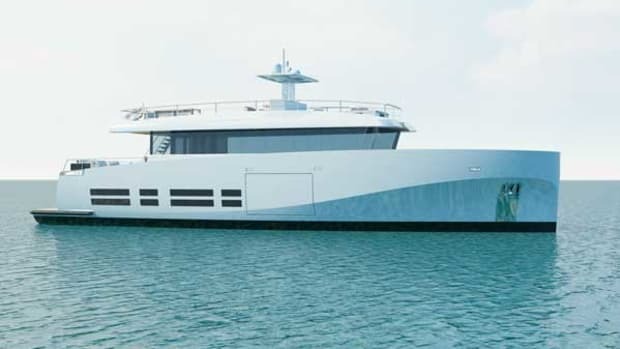 The Turkish-built Vicem line of cold-molded cruisers has a new queen with the launch of Moni, the first Vicem 107 Cruiser. While her external lines fit with the family style, by owner request her interior is a departure from the usual mahogany interior. 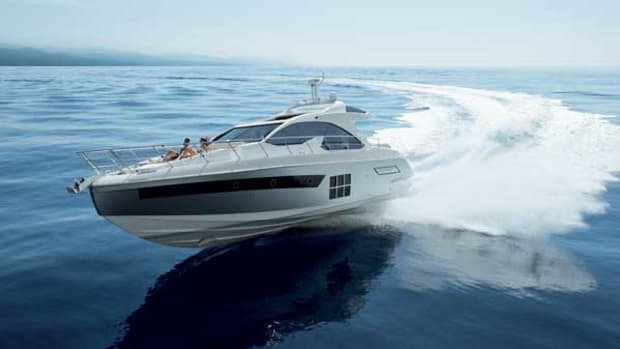 Long-time partners Studio Zuccon International Project, Advanced Yacht Technology and the Centro Stile Ferrettigroup brought their experience to create the new Ferretti 870. 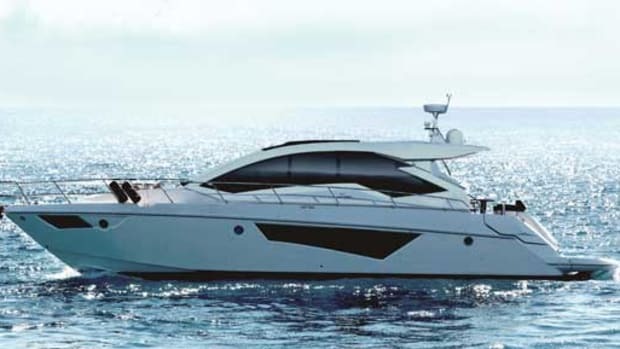 Capitalizing on the innovations already found on board the stunning Ferretti 800, the 870 features large windows on both the main and lower decks and a spacious four-cabin layout (all ensuite). 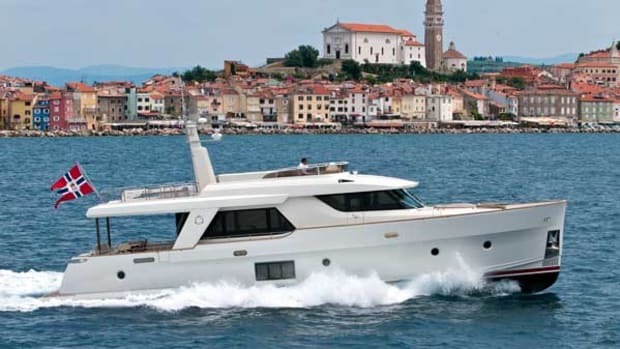 Canados has a new flagship with this alluring flybridge designed by Francesco Paszkowski. The design and décor emphasize privacy both inside and out and exploit every inch of interior volume. 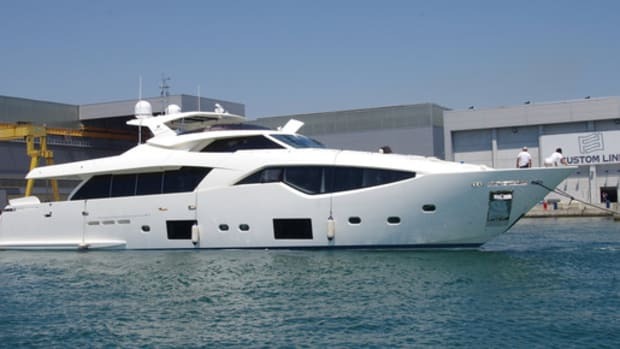 British builder Princess Yachts showcases Imperial Princess. 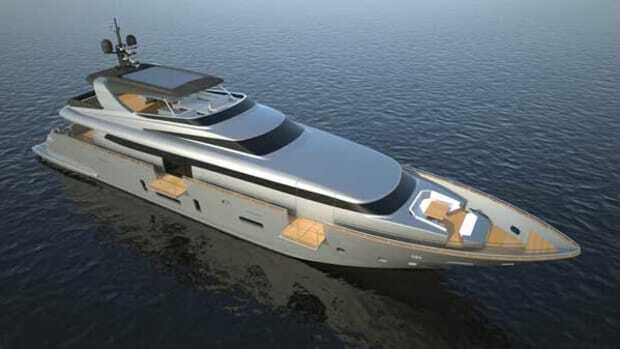 This new 131-foot yacht reigns as the largest resin-infused production yacht launched in Britain. The hull may be production (and Hull Nos. Two and Three are already under construction), but the interior is custom-designed for each owner. 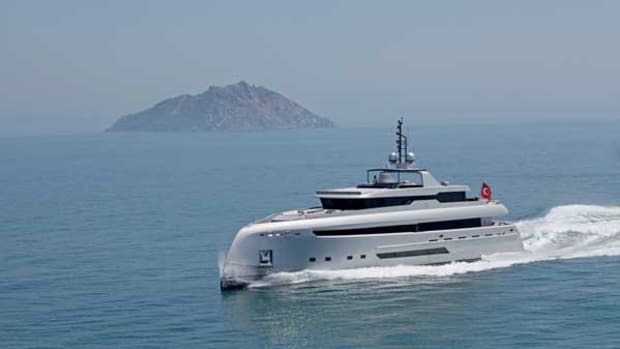 The Darwin 86 Percheron is the newest example in a semi-custom series designed and engineered by Sergio Cutolo/Hydro Tec for Cantiere delle Marche (CdM). Hull No. 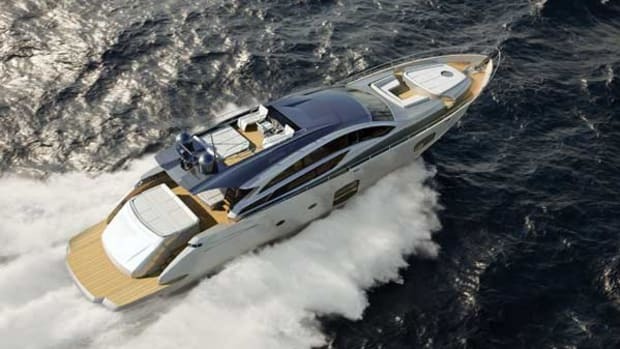 Two has a totally different layout from Vitadimare3 (Hull One) but the two yachts share the same exterior lines, roomy interiors and a range of 7,000 nm at 8.5 knots. With a reverse-X bow, silver hull, and sleek lines, Turkish builder Bilgin’s newest launch has already caught a lot of attention and is now seeking a new owner. 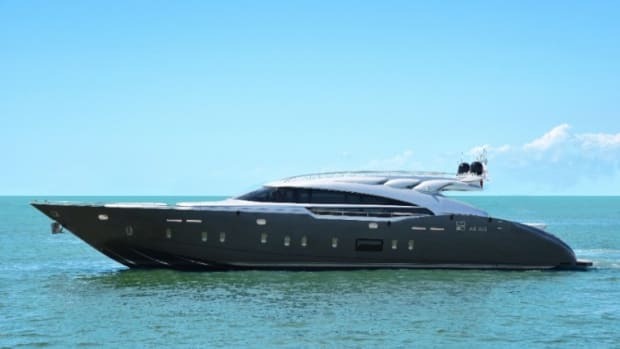 This striking yacht—designed inside and out by H2 Yacht Design—features a modern interior combining Maccassar ebony and zebrano veneers with top-quality leathers and fabrics. 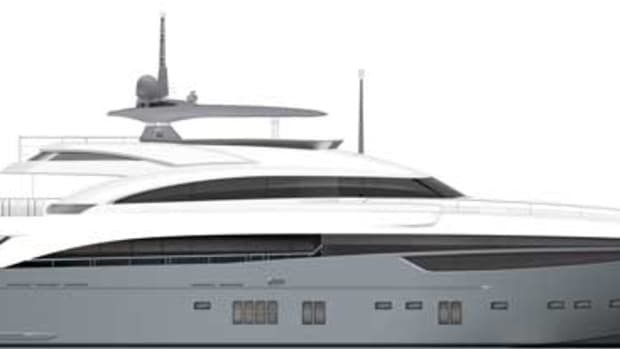 Inspired by features usually found on superyachts, the new Sunreef 82 boasts a raised salon, control station forward and the galley and dining area aft. Accessed via a central walkway, the maindeck owner’s suite boasts great real estate and large windows. Austin Parker introduces it new 64 Fly, designed by Fulvio De Simoni to appeal to international markets with simple, modern and timeless lines. 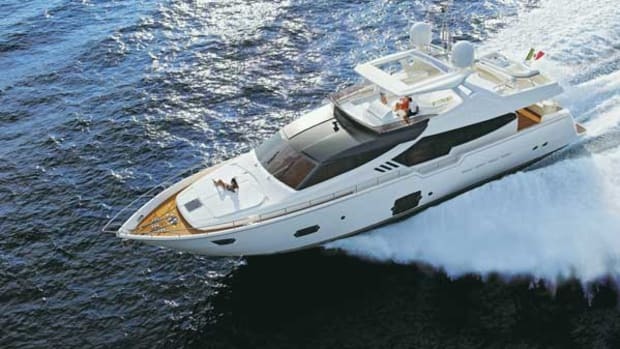 The 64 Fly is a comfortable and livable small yacht. 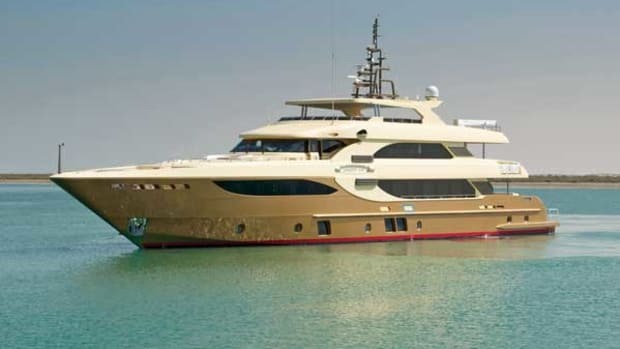 The layout of the main living areas can be modified on request, and the three cabins, all with ensuite bathrooms, are elegantly finished with natural leather and fine woods.